Hello Lovers…Happy Valentines Day! NYC has been buzzing since earlier this week and the festivities will continue over the course of the next 24+ hours or so. Not only is it fashion week, it also happens to be NBA All-Star weekend. On top of that, Monday is Presidents Day; which adds another layer to the madness. With everything that is going on this weekend, what is there not to love? Yesterday night, as I was making rounds through Jersey City and Manhattan, I received a call from one of my good friends. I couldn’t answer at the moment, but when I called her back, she asked if I heard about Kanye’s fashion show with Adidas. I told her that I did and she sent me an email to check out an article and some footage of how the show was received. As I began to read the article, the number one statement that initially caught my attention is when Kanye mentions, “I want people to think awesome is possible.” I immediately identified with that philosophy. Too often we idolize the achievements of others to a point that we no longer believe that it’s possible to achieve great things in our own right. We become desensitized to mediocrity. We view greatness as an anomaly. We become comfortable with things being fine just the way that they are. I extremely disagree! I believe that our existence in itself grants us an opportunity to achieve profound accolades beyond our imagination. Why settle for anything less? Push culture forward. Push creativity forward. Live legendary, leave a legacy! On September 14, 2014 I received an email inquiry from Lekan Latinwo of Amon Creatives out of Bristol, UK. Lekan happened to see my 3 Lessons Learned interview with Jaha Johnson on behindthehustle.com. In my interview on BTH, Jaha mentions that he co-manages Common along with some other well-known artists and producers. Before reaching out to me, Lekan had obviously done his research. He requested an interview with Common knowing that he would be at the O2 Academy in Bristol, UK during his ‘Nobody’s Smiling’ Tour. All that Lekan needed from me was to connect him with Jaha. After collecting some additional information, I reached out to Jaha to see if he was cool with Lekan’s request. Thankfully, Jaha gave me the green light and I was happy to connect the both of them. I wanted to share this with you all because it’s a great example of how to go about bringing your dreams and goals to fruition. If you have an idea, act on it! Find the people who can help you to connect those dots and make things happen. Yes, you definitely have to play your part. It’s also important to know exactly what you want while being strategic and smart about your approach. Once you have things together on your end, life becomes more simple. There are people in this world such as myself who do want to help others out and see them succeed. As Cortez Bryant, one of Billboards 2014 Top 40 Under 40 honorees once said, “I got into this business to help artists fulfill their dreams.” That’s the ethos of A Lovers Ambition. It’s more than a creative agency. It’s more than a lifestyle group. It’s an all around lifestyle based movement founded on helping to make others dreams and passions come true. 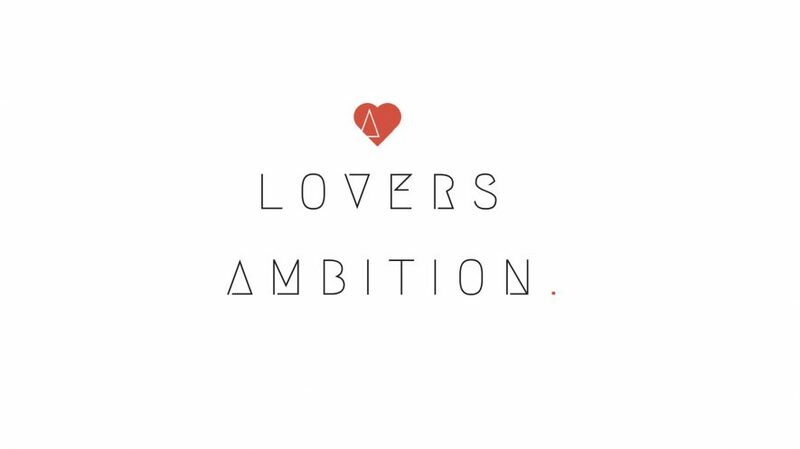 We all have ‘A Lovers Ambition’ to achieve something in life. Ask yourself, what do you aspire to achieve?